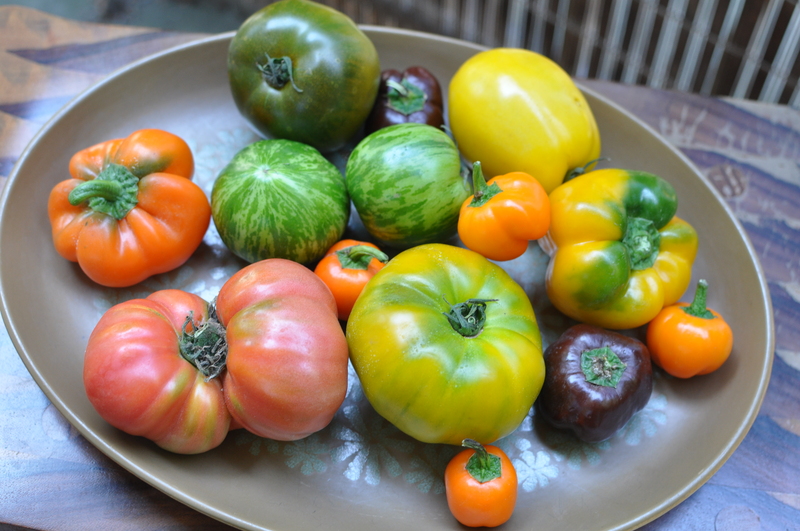 Heirloom tomatoes and little peppers. Also purchased: some peppery arugula, radishes and 2 basil plants. On the way home I bought a bottle of Vinho Verde and I intend to spend the afternoon on my balcony reading cookbooks in search of the perfect tomato salad recipe and drinking ice cold Portuguese white wine. And listening to samba music.